Android media sticks are a good alternative to Android media players if you want to take your HTPC around, or have a limited budget. Most of these devices offer a competitive level of performance and allow you to save space. They are convenient, lightweight and -more often than not- can be used with a wireless HTPC keyboard or a remote app on a smartphone or tablet, such as Kore or Yatse. However, there are tradeoffs such as limited storage space and others, that depend on the intended uses we have for the device. In this article we present to you some of the best Android media sticks in 2016, bearing in mind this is a hugely competitive market with lots of nice alternatives to choose from. There are many alternatives to choose from when it comes to the best Android media sticks, here we present some of the most popular and useful ones. What are the best Android media sticks in 2016? Do you recommend any of these best Android media sticks? Some of the top media sticks 2016 brings are from well-known manufacturers, and some are from brands with not as much public recognition; however, you should be aware that most of these are competitive enough to be labeled the best media player for Android, depending on what parameters you use for your analysis. 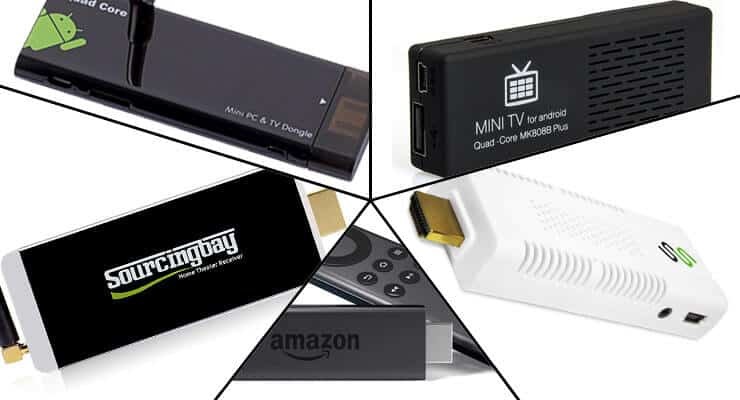 If you are interested on finding the best media stick for TV then keep on reading about our picks for 2016. You will surely find something for your needs. The CX919 includes an antenna that makes its Wi-Fi reception stronger than the average media stick. The MK808b does not connect to your TV as a stick, but rather as a mini box, while still offering a solid performance. We analyzed this one some time ago. 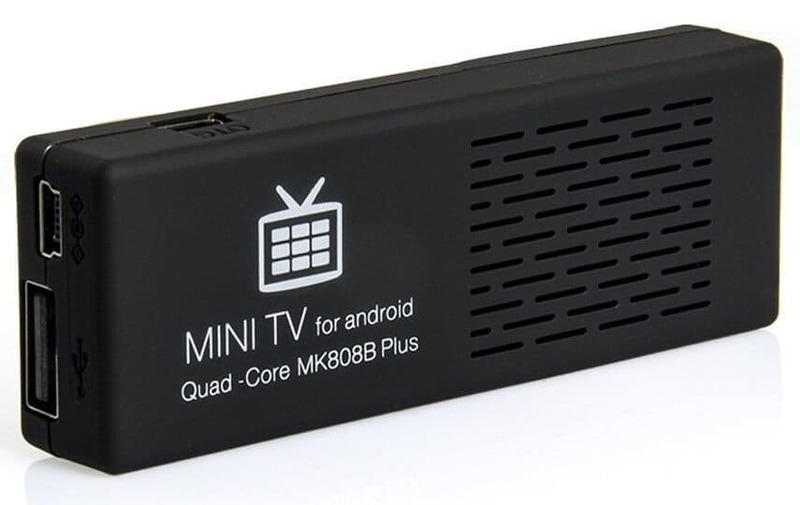 The MK808B Android TV dongle is a small and inexpensive HTPC option for your living room, or anywhere you want to install it. Not a media stick in the strictest sense of the term, as it doesn't connect directly to your TV, and does so through a HDMI cable instead; the MK808B Android dongle is one of the best Android media sticks -or stick shaped devices- you can find, because of its connectivity. USB, MiniUSB with OTG (and cable included) and even Bluetooth are some of the things you can find if you decide to get the MK808B Android stick to bring your media to the living room. The Amazon Fire TV Stick includes a very functional and comfortable remote to browse your media. 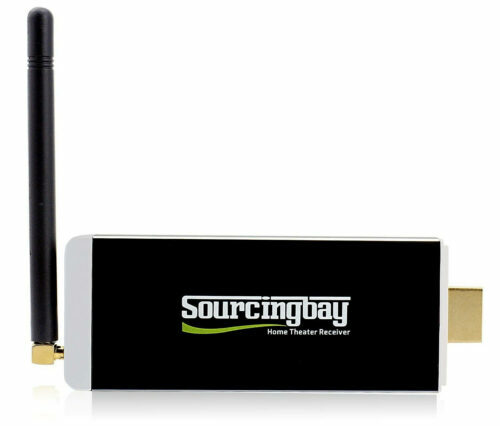 Another media stick with an antenna, the Sourcingbay Ds805 is easy to set up and boasts a quad-core processor. With support for microSD cards and 8GB of storage, the SourcingBay Ds805 streaming stick is a good option to enter the fascinating world of HTPC for less than 40 bucks. This is one of the best media stick players that uses an IR remote, which is in fact included, as well as a small IR receiver. You can of course hook up a wireless keyboard for an easier usage of the device. 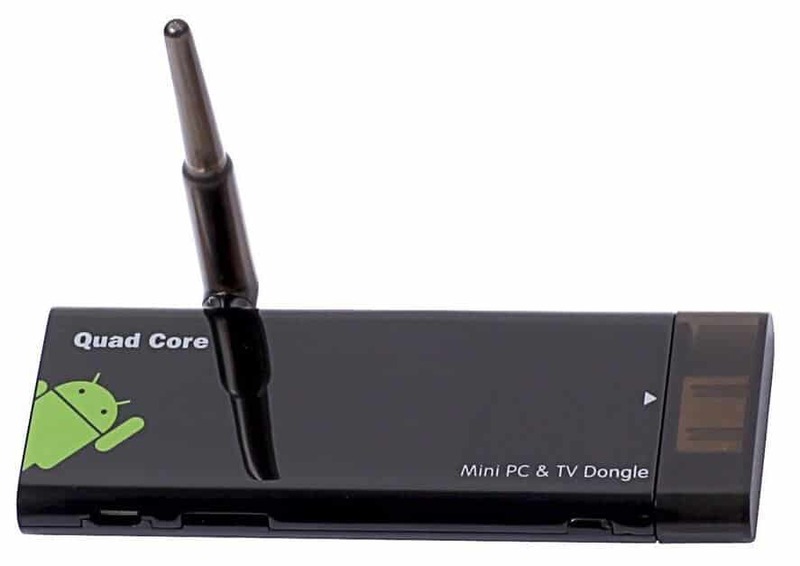 The Wi-Fi on this device seems to have somewhat of a limited range in comparison with the rest of best Android media sticks, but it shouldn't be a problem for small rooms or households. Other than that, the device is very good, letting you stream 1080p media and even with the ability to read codec H.265 files, which is always a plus. The FAVI HDTV SmartStick has 4GB storage, and upgrading to the 8GB version is very costly, so if you are in a budget get the 4GB one. A device with an amazing value and an included -albeit not so good- remote. The FAVI HDTV Smartstick offers 4GB of storage and, curiously enough, raising this storage to 8GB hikes the price to nearly 200 bucks, so this is something you might not be tempted to do. 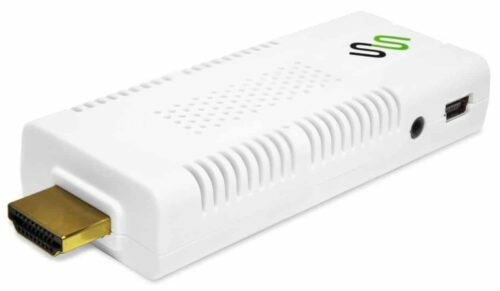 Still, the cheaper version gets the job done, letting you watch media in 1080p and with full compatibility with most Android apps, including Kodi and Plex, making it worthy of being included among the best Android media sticks. You will of course be limited in options such as audio outputs, only being able to use the HDMI one, but it's a small price to pay for an even smaller pricetag of less than 40 bucks. All of these are amazing options, but it all depends on what you want from your device. You could buy a device as complete as the NVIDIA SHIELD TV or as basic as you want, and if it satisfies your needs then all is well. Considering most of the HTPCs are shifting towards 4k, these options might even be obsolete at some point in the very near future, when we start getting among the best Android media sticks devices that can play media on 4k resolution, which will be a huge shift and might drop dramatically the price of these devices across all market segments. For now, enjoy the versatility and ease of installation that devices such as the ones detailed here have to offer, and remember you can enhance your HTPC experience with addons for your applications, such as the Phoenix Kodi Addon if you use Kodi, or through channels and plugins like the SoundCloud Plex Channel if you use Plex. In the end, the best Android TV stick will be the one that allows you to relax on your couch or bedroom without worrying about buffering or low quality of content, and as far as I know, all of these devices are capable of providing that.